Vision site sold to Billberga group for $40 million dollars by Austcorp after it failed to secure financing on the 72 floor skyscraper. The site of the former Vision Tower proposal has been sold to Billbergia for $40 million dollars. 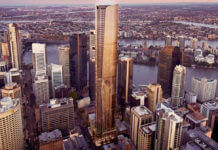 Property developer Austcorp who are in liquidation by Deloitte failed to develop the 72 floor mixed use tower due to lack of funding caused by the GFC. 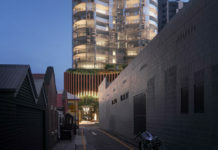 The site, which has doubled in value since Austcorp bought it is currently fully excavated and ready for construction to occur. 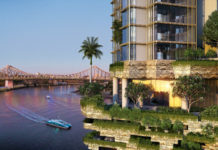 It is not known if the Billbergia Group will continue with the original Vision Tower design or will redesign the development. With the planned underground subway station at Lower Albert street, this site is of significant importance for Brisbane and remains one of the largest untouched pieces of land in the CBD. 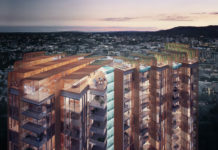 Bilbergia have built some mixed use developments primarily in Sydney, situated around Sydney’s Olympic Park.